Paperback, 11.75 x 8.25 in. / 176 pgs / 226 images. 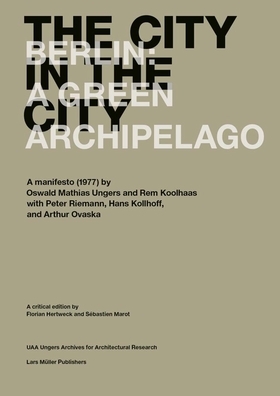 In the manifesto The City in the City – Berlin: A Green Archipelago, Oswald Mathias Ungers and a number of his colleagues from Cornell University presented the first concepts and intellectual models for the shrinking city. In contrast to the reconstruction of the European city that was popular at the time, they developed the figure of a polycentric urban landscape. 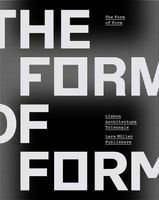 However, the manifesto really began to exert an effectbeginning in the 1990s onwards, when the focus of the urban planning discourse turned to the examination of crises, recessions, and the phenomenon of demographic shrinking. This critical edition contains a previously unpublished version of the manifesto by Rem Koolhaas, as well as interviews with co-authors Rem Koolhaas, Peter Riemann, Hans Kollhoff, and Arthur Ovaska. Introductory texts explain the developmentof the manifesto between Cornell and Berlin, position the work in the planning history of Berlin, and reveal its influence on current approaches. Florian Hertweck, born in Bonn in 1975, is associate professor for architectural design, architectural theory, and urban planning in Versailles, and an associate in the planning office Hertweck Devernois. Sebastien Marot, born in Paris, France, in 1961, is founding member of the Ecole d’architecture de la ville et des territoires Marne-la-Vallée and visiting professor at numerous universities including the ETH Zürich and Harvard. FORMAT: Pbk, 11.75 x 8.25 in. / 176 pgs / 226 images.